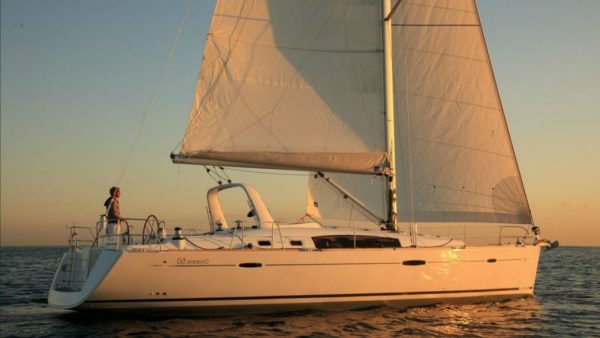 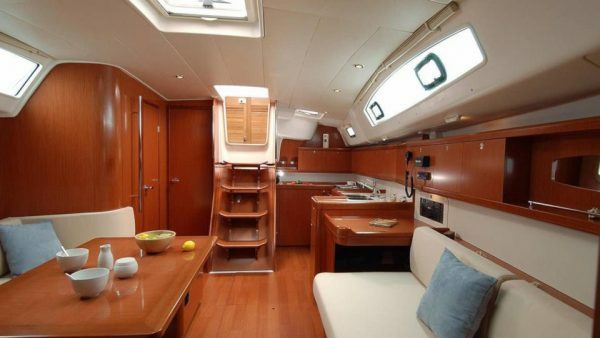 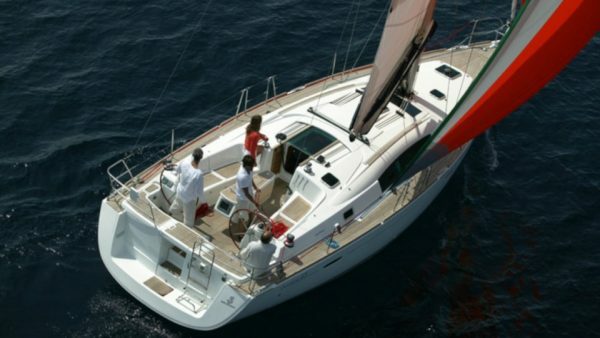 Built in 2007 Sun Odyssey 39i is available for charters in the Ionian Sea. 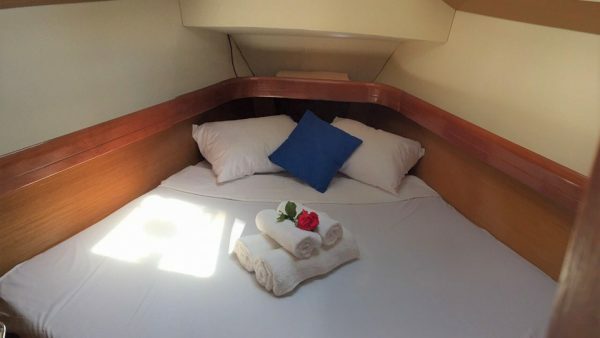 She offers accommodation for up to eight guests. 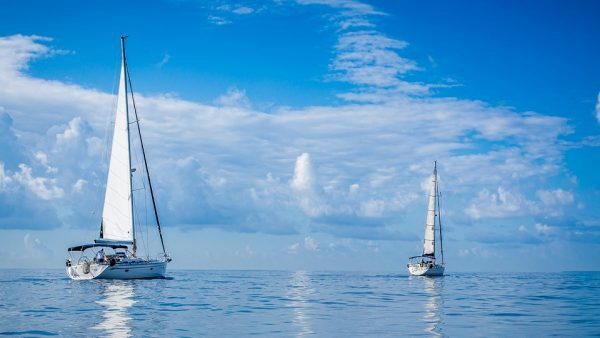 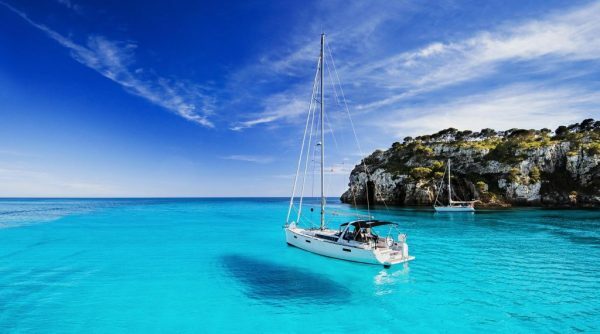 Based in the beautiful island of Corfu, this monohull is ideal for cruising to the Ionian Sea and exploring sandy beaches with emerald waters and natural landscapes. 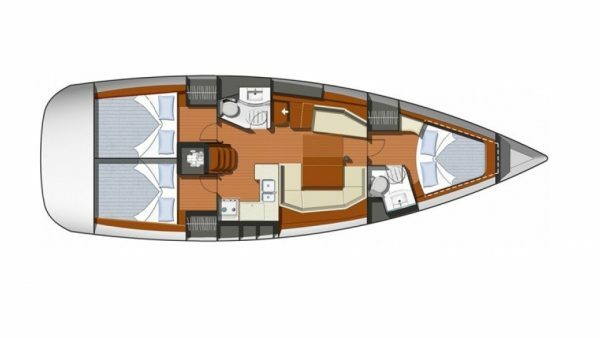 She presents three well-appointed cabins that can accommodate up to eight guests. 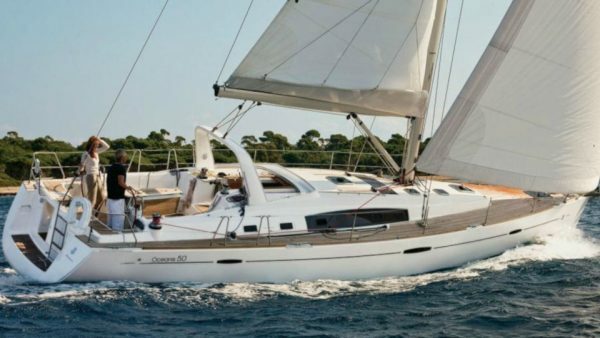 Benetau 50.5 is the ideal sailing yacht for cruising to Chalkidiki and Sporades Islands. 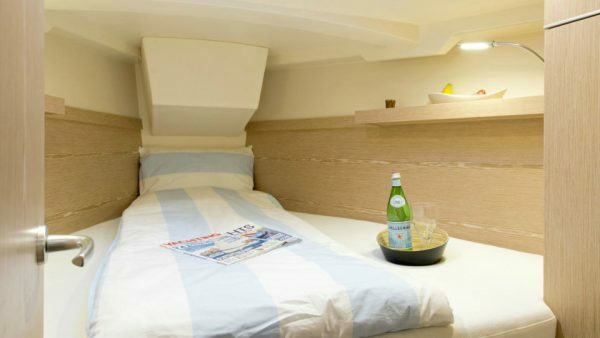 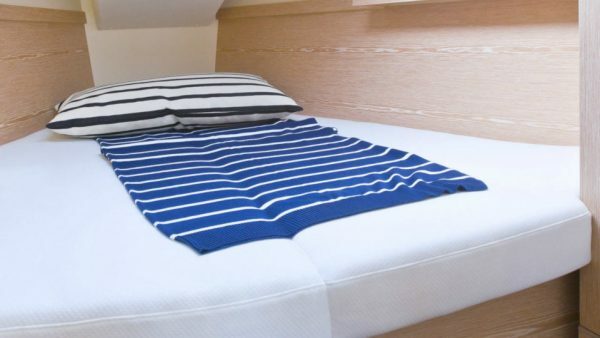 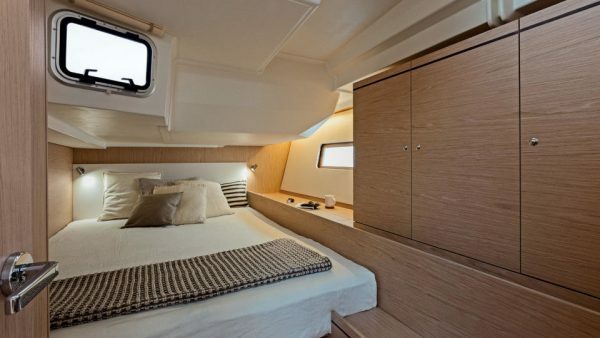 She features five comfortable cabins that can accommodate up to ten guests and one more cabin for the Skipper. 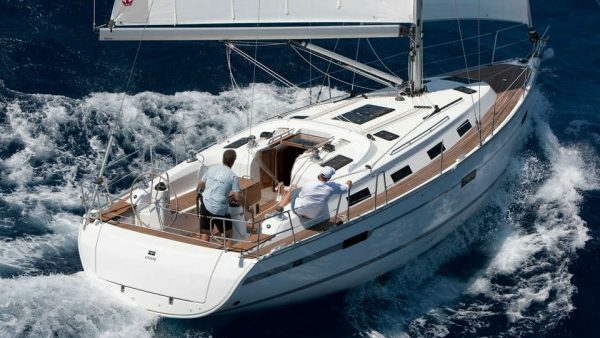 Hanse 325 is available for bareboat and skippered charters in the beautiful Greek islands. 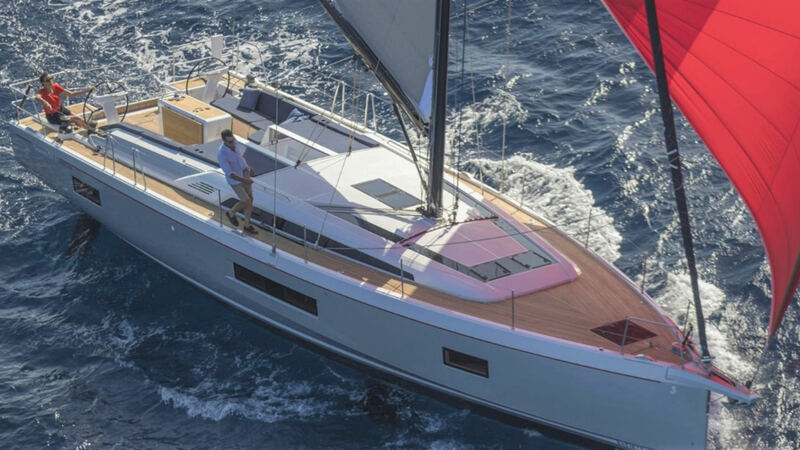 The design characteristics combined with the renowned Hanse build quality result in a very solid cruising yacht that disguises her size. 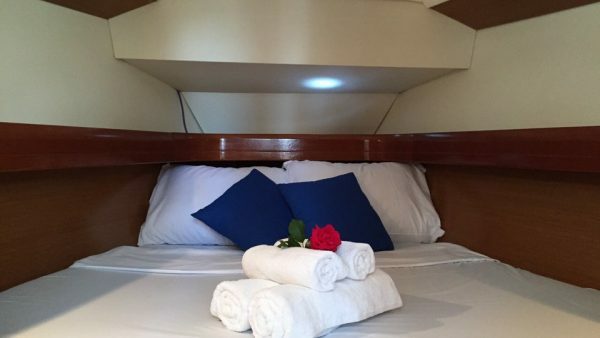 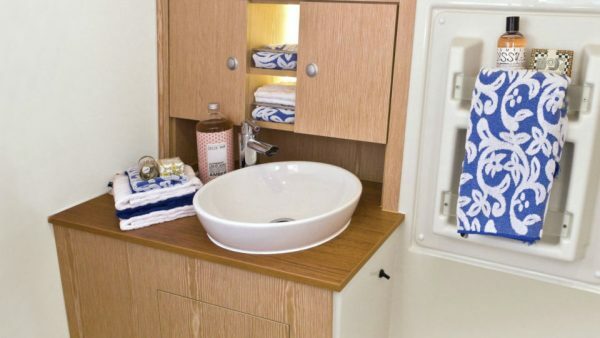 She accommodates four guests in two cabins. 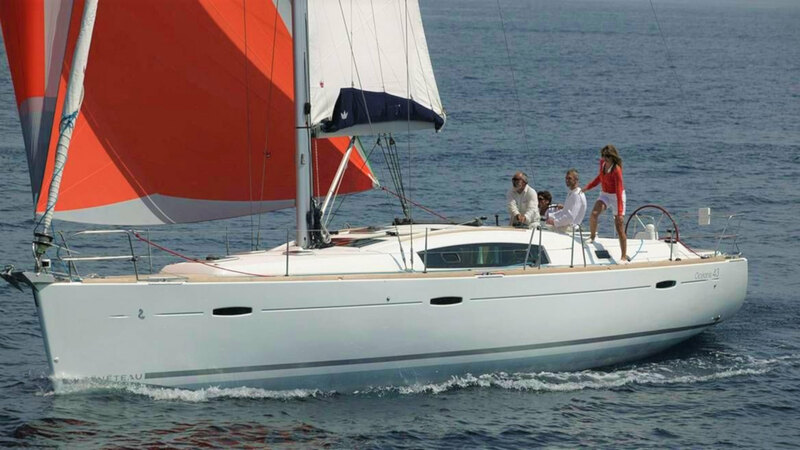 Hanse 345, available for bareboat and skippered charters, offers fast cruising, easy sailing and innovative design! 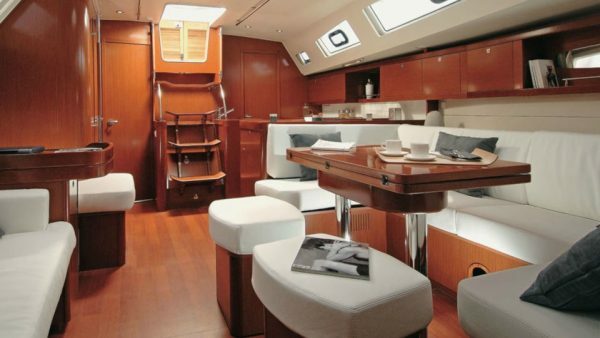 She presents a perfectly designed saloon with Italian oak-style furniture and a cozy dining table. 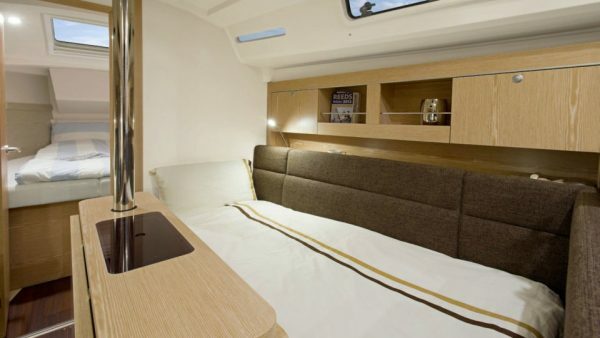 A room with ideal proportions offers maximum comfort. 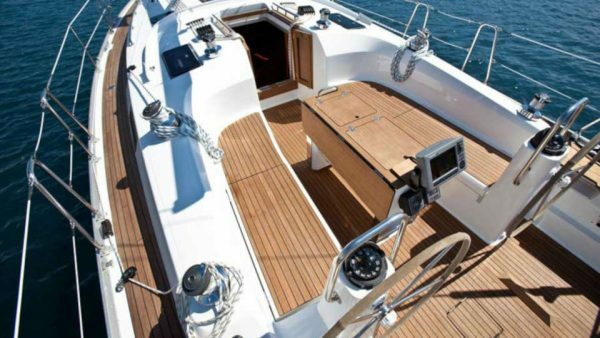 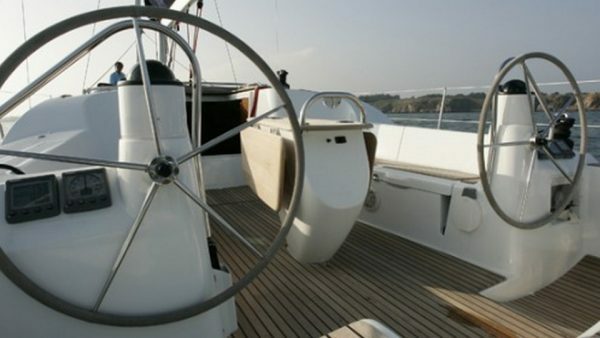 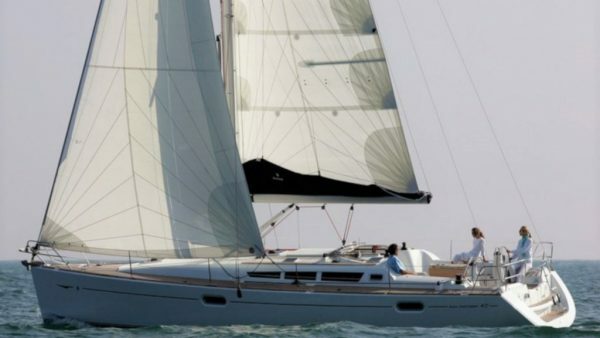 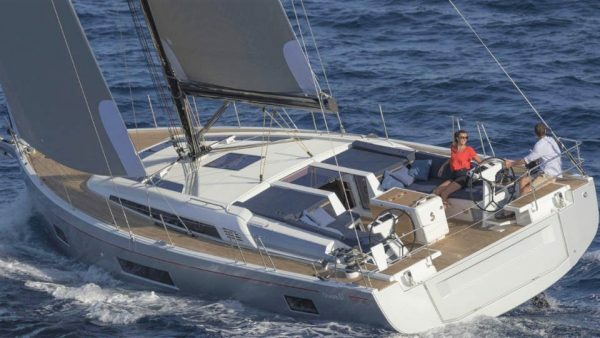 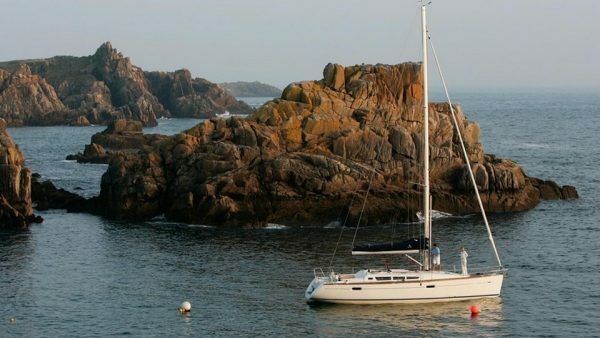 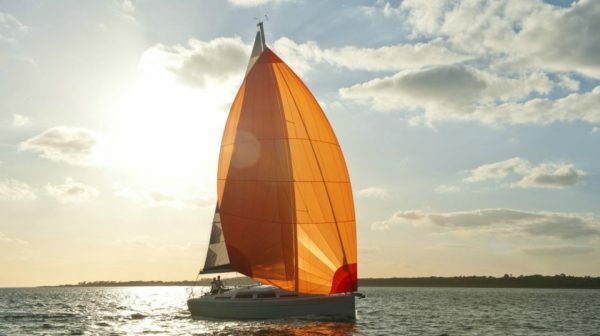 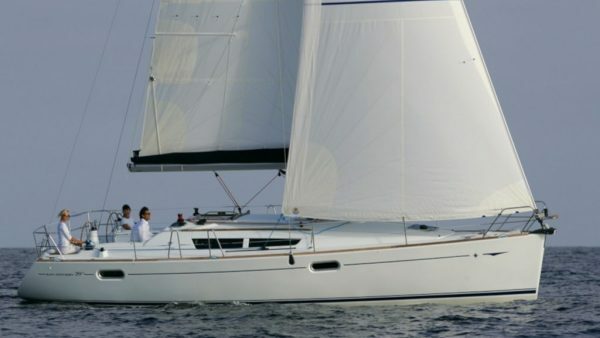 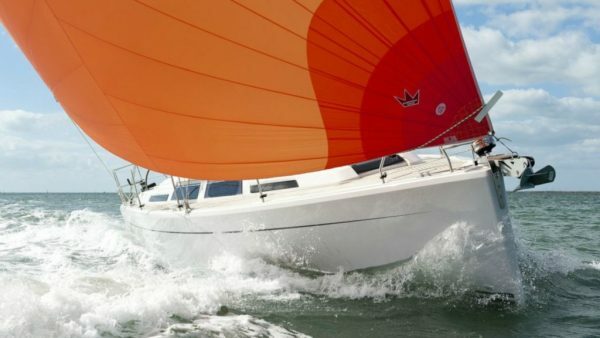 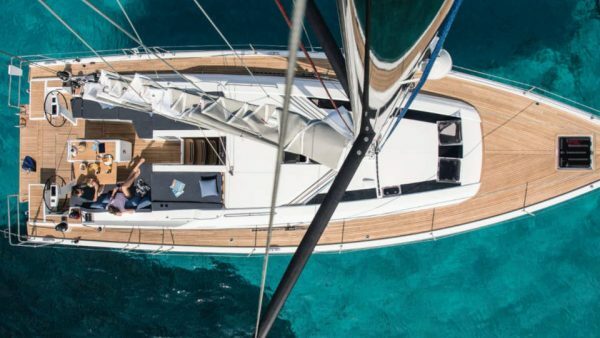 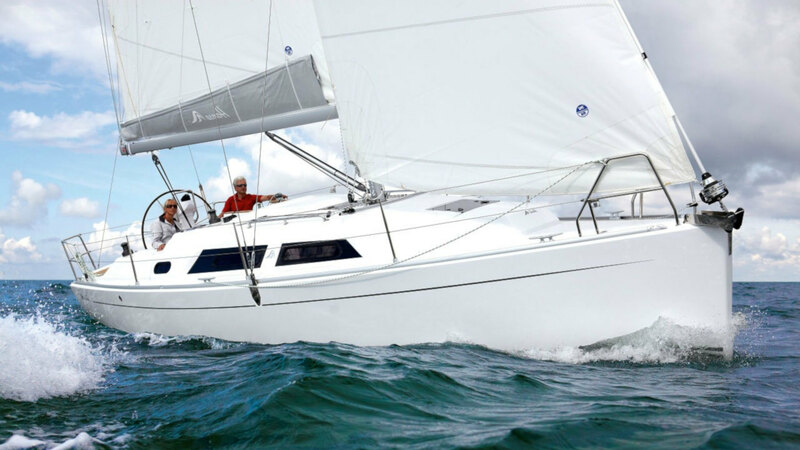 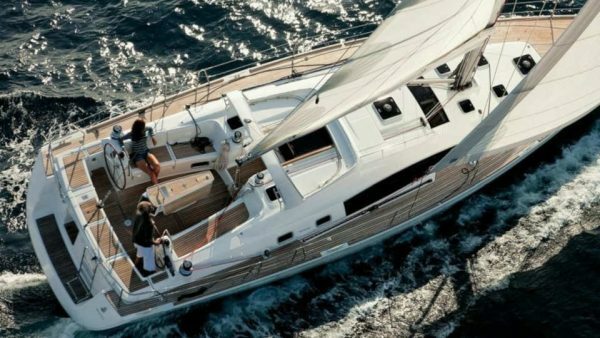 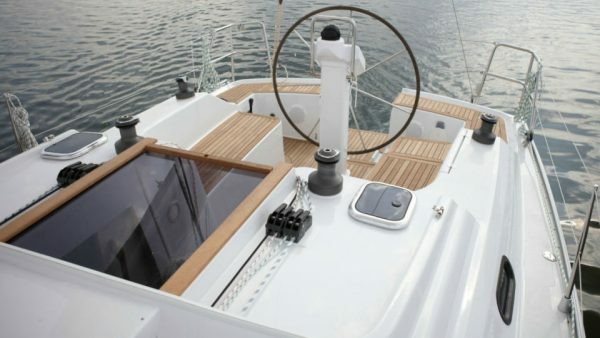 Bavaria cruiser 40 is a modern sailing yacht ideal for bareboat and skippered charters. 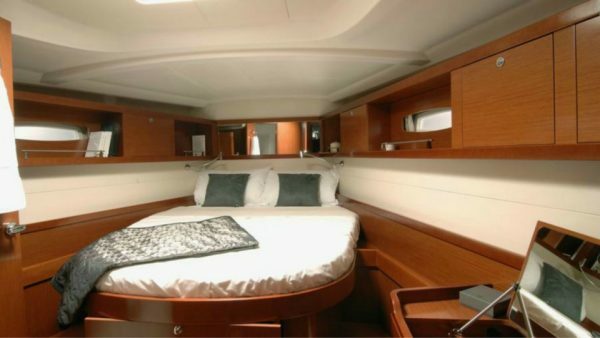 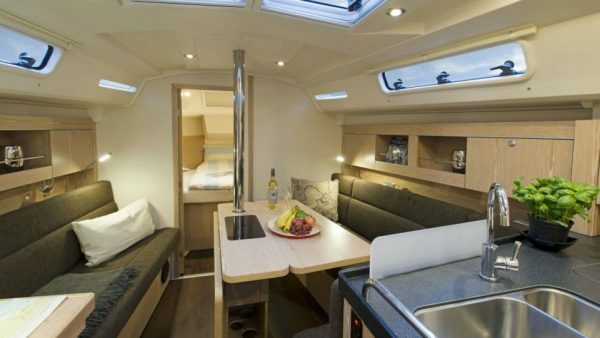 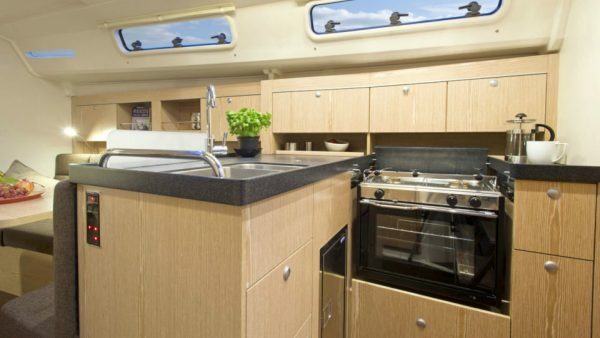 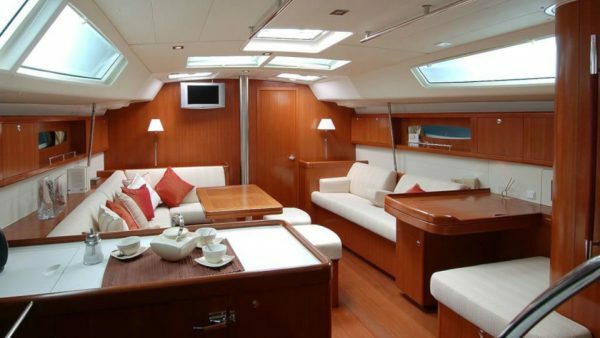 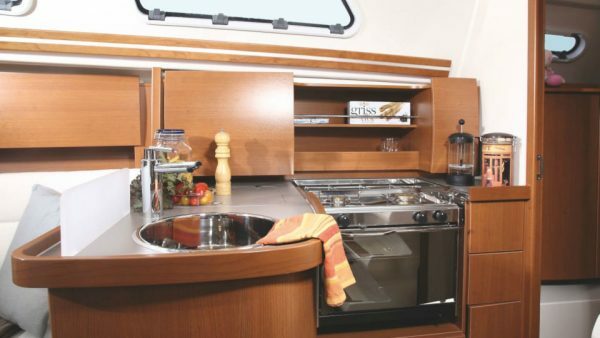 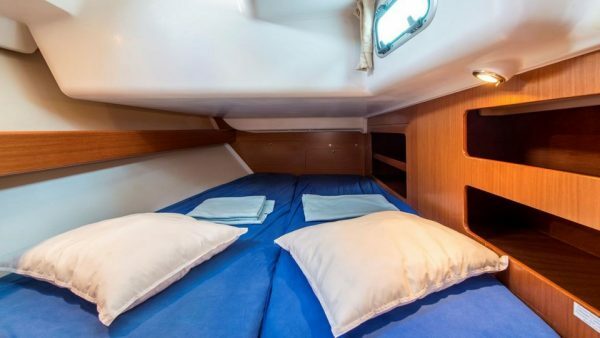 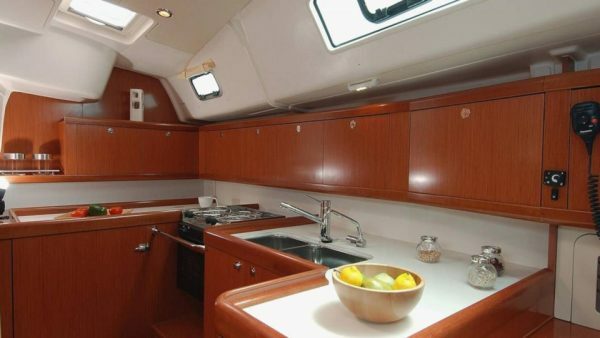 She was built in 2011 and offers a nice layout of three double cabins that can accommodate up to six guests. 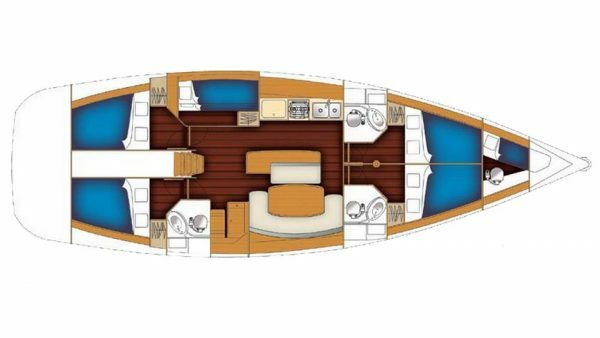 She has been designed to the highest standards in order to be spacious and sufficient while sailing. 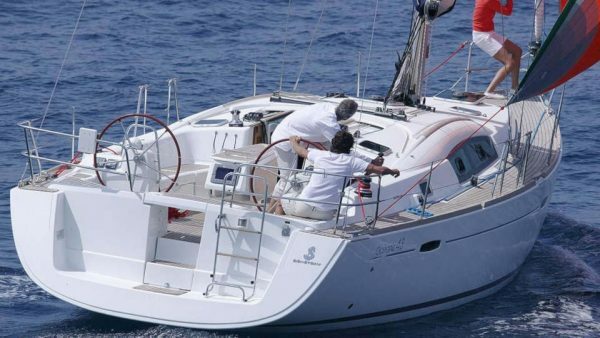 Oceanis 43 was built by Benetau in 2008 and is equipped with the latest electronics facilities that will ensure a wonderful sailing experience! 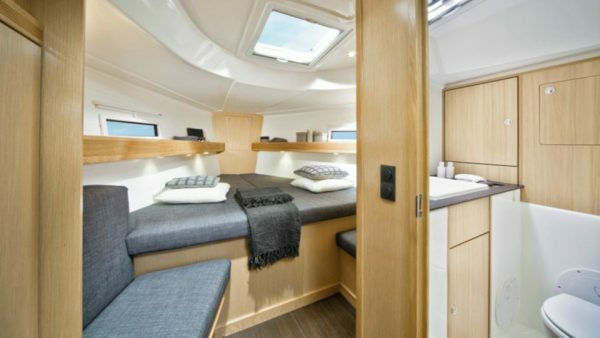 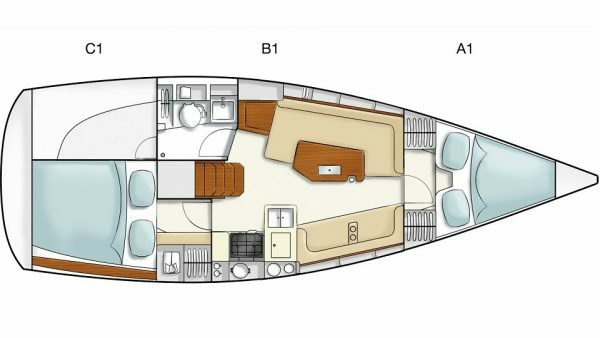 She features a nice layout with three double cabins and one with upper and lower bunk beds that comfortably accommodate up to eight guests. Oceanis 43 is available for bareboat and skippered charters throughout Greece. 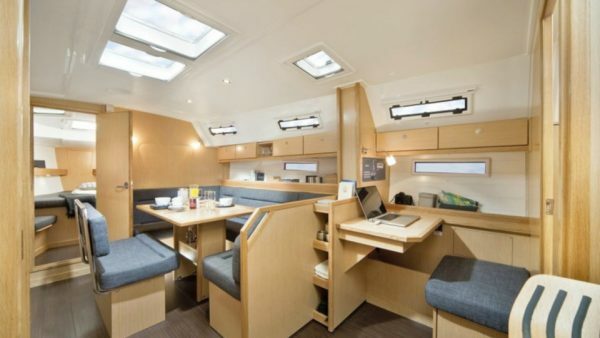 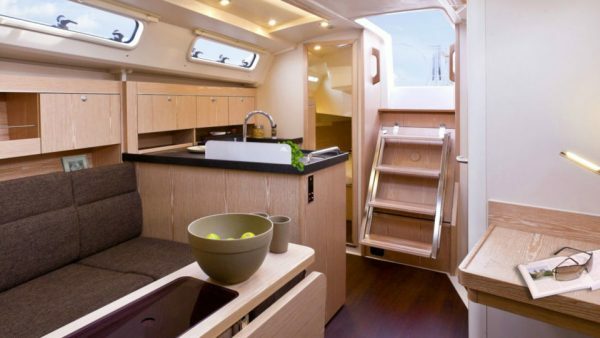 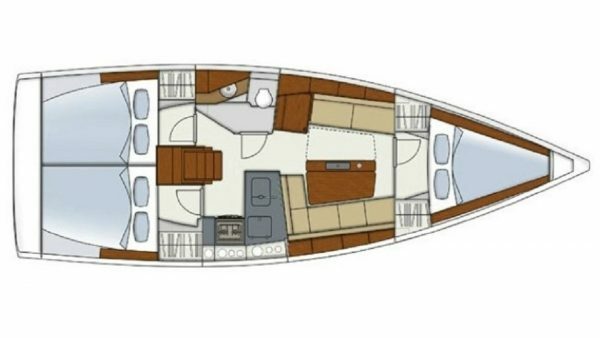 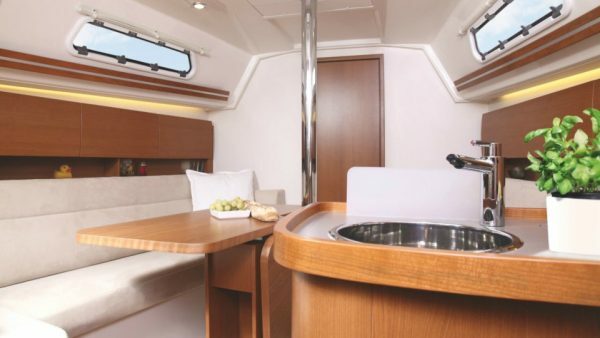 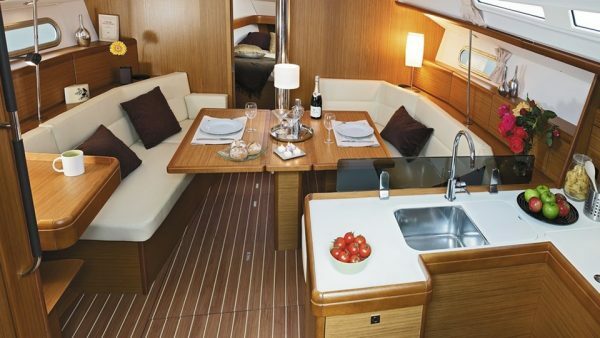 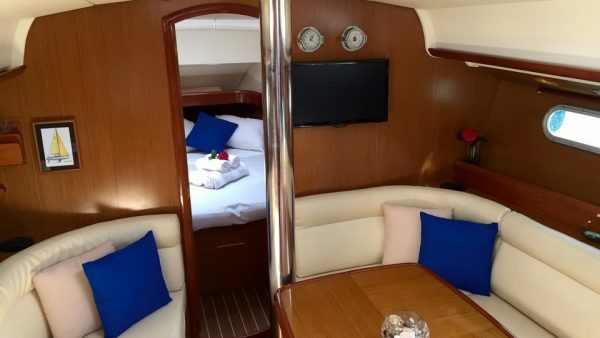 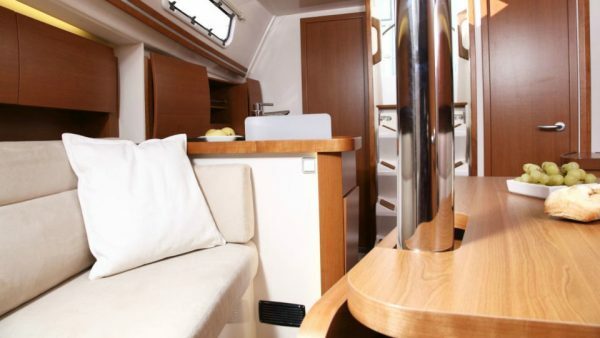 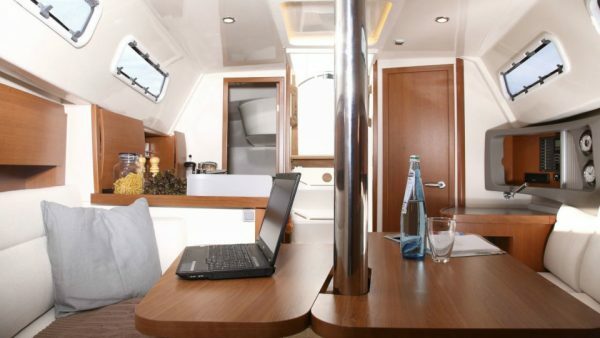 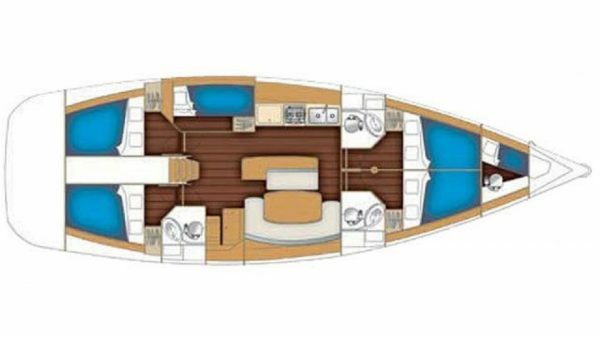 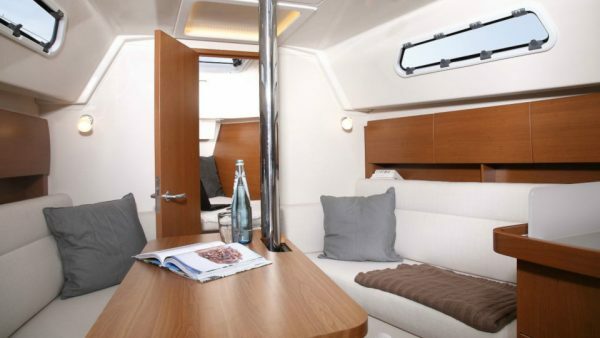 Oceanis 50 presenting six spacious cabins is ideal for larger groups of 10 guests. 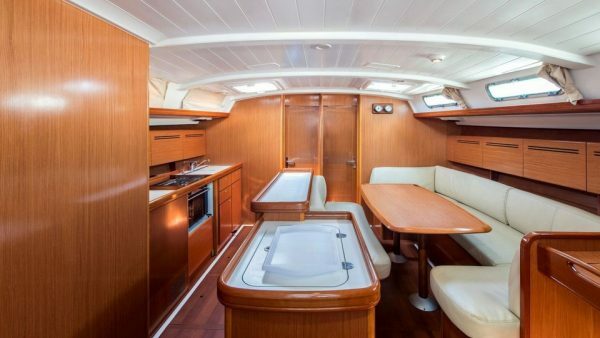 She offers spacious exterior and interior decks perfect for relaxation. 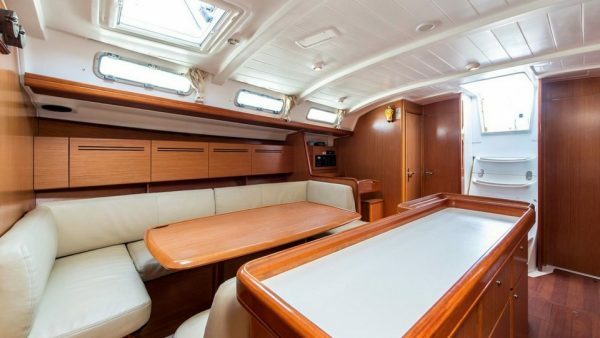 She is available both for bareboat and skippered charters. Oceanis 51.1 is a brand new sailing yacht built by Beneteau and is available for bareboat and skippered charters. 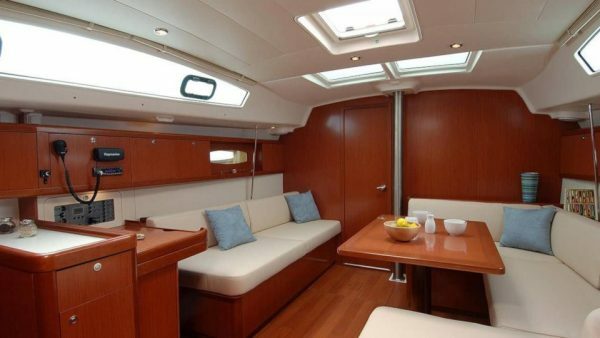 She offers spacious decks ideal for luxury cruising to the Greek islands. 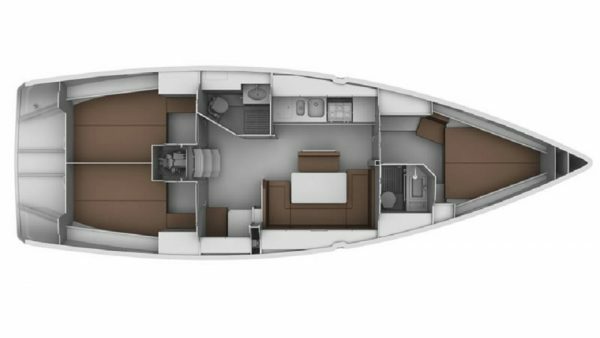 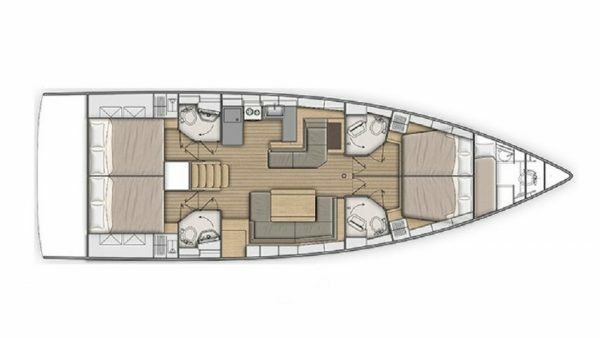 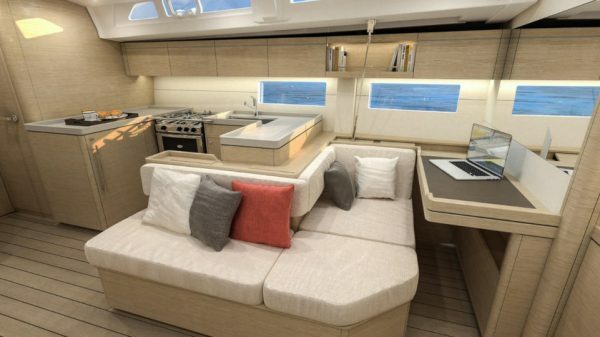 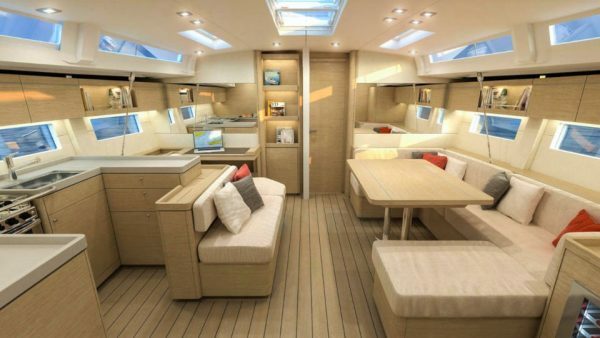 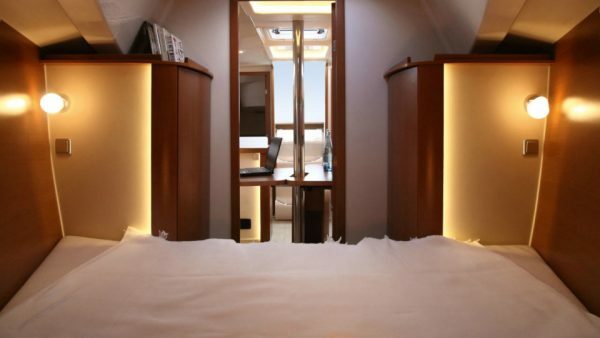 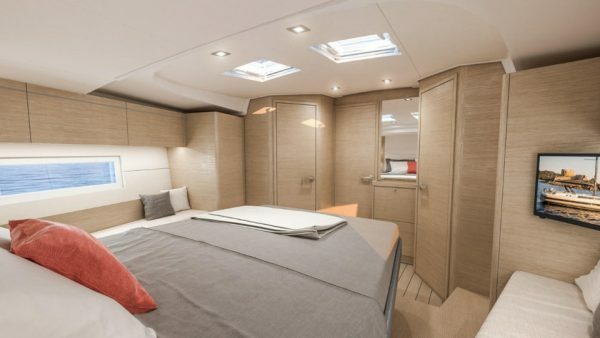 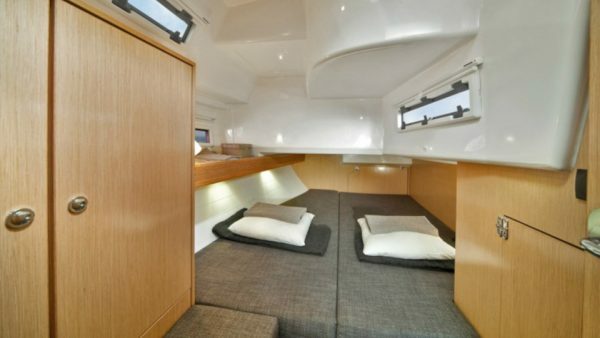 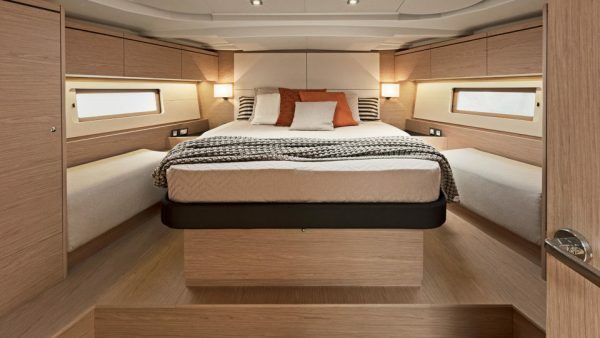 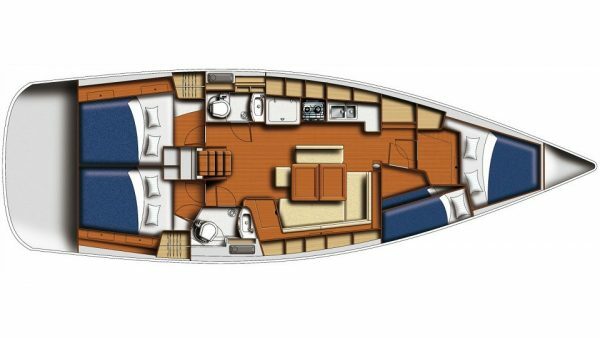 The new hull creates additional interior space featuring a layout of four double cabins and one single. 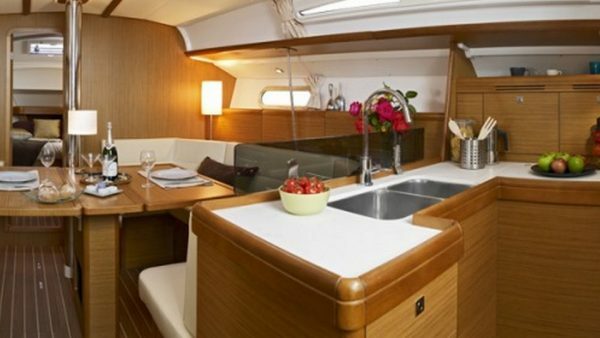 Her spacious cockpit, her vast sunbathing and relaxation areas and aft swim platform promise true comfort!